Located along the spacious shores of Lake Michigan and right in between Milwaukee and Chicago, Racine is the fifth largest city in Wisconsin and the most affordable city there in which to buy a home. We want you to know that if a sudden emergency falls on your shoulders while staying here, we can link you up with a 24 hr dentist Racine WA . 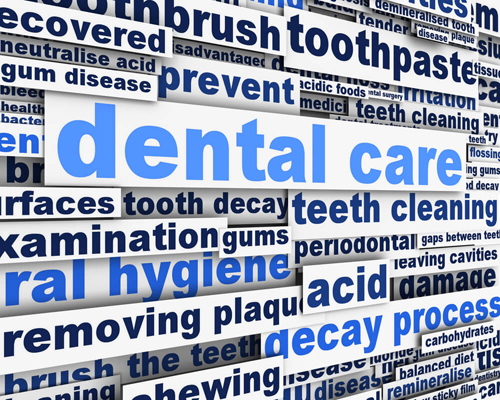 We have compiled a large directory of walk in dentist services nationwide, and Racine is within that network! If you are unable to reach any of the dentists on this list immediately, we provide you an excellent hotline that will get you speaking with a Racine emergency dentist within minutes! Perhaps you are on your way to Six Flags or to see the sights in Chicago; this is no time to have your trip thwarted by wisdom tooth pain or the need for an extraction. Our 24 hr dentist hotline is open 7 days week, so don’t hesitate to let us steer you in the right direction today! A Midwest city that has long been a center of factory production and industry, Racine is home to Dremel Corp, Reliance Controls, and Twin Disc Co. With a population of around 78,000, it is a perfect place to raise a family amongst hearty and proud residents. You don’t want to be overtaken by an urgent need with a dental emergency after hours. Our dentist hotline is up and running 24 hours a day, so don’t hesitate to get lined up with a great dentist open on Saturday today! Description: If you are in town during the summer or perhaps for the upcoming holidays, we don’t want your child’s broken crown or sudden night tooth pain to ruin your entire stay. Let us direct you towards the appropriate emergency dentist for you, and put your stressed out family in a better state of mind. Our 24 hour hotline will refer you to a professional who can see what needs to be done to get your stay in Racine back to one of comfort and enjoyment. Description:listed as an area dentist open until 8 P.M., this has been a Racine dental provider since 1969. They are also open on Saturdays, and dentist Sam Azab is a skilled expert with a full on patient centered approach. The son of a dentist, he loves the people he meets every day, and got his degrees from Marquette School of General Dentistry, and did a residency at VA Medical Center. Description:For 25 years, this Racine area expert has been caring for patients with top notch skill and attention. Dr. Stummer received his undergraduate degree from Creighton University, and then he went on to the Center of Advanced Dental Studies in sunny Florida. He is also a participating member in the Edge Study Group where he keeps up on the latest trends and developments in the field. Description:This Racine expert gladly takes emergencies, a vital part of being in business in this busy and schedule filled modern world. His biology and dental degrees were both from Marquette University, and he donates his valuable time to the Donated Dental Services Program. This is a great way for disabled folks and the elderly to receive care they otherwise may not be able to get, and the community appreciates his grave efforts. Racine is a well rounded city to visit, and has attractions to see like the Wind Point lighthouse, North Beach Park, and SC Johnson Headquarters. We would love to be the prime portal to get you connected to a emergency dentist in Racine WI , and get rid of the pain that will keep you down for the count instead of enjoying this great community. If you want to check further into any of these dentists’ official standing, you can visit The Wisconsin Dental Association .